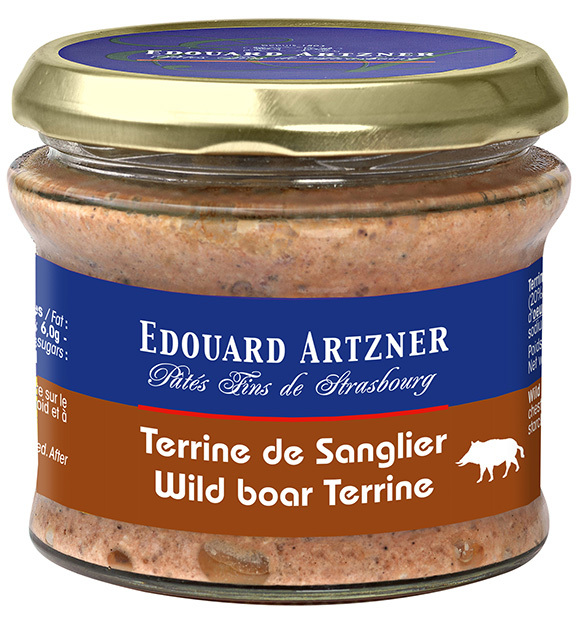 Use the Wild boar Terrine with sweet Chesnuts for canapé toasts or rustic lunches. Don’t hesitate to spread it generously on good brown bread. Simple pleasure guaranteed! A popular addition to French food hampers and to send as gourmet gifts. Storage & Shelf Life: 2 years in a cool and dry place. Once open store in a fridge and consume within 2 days. Pork fat, wild boar meat (20%), chestnuts (13%), pork meat, water, pork liver, onions, shallots, EGG white, salt, potato starch, calvados, spices. preservative : sodium nitrite.